Seattle, WA - Spear Aesthetics' premier dental clinic takes a unique approach to restorative and esthetic dentistry, an approach that is focused on transforming and enriching patients’ lives. 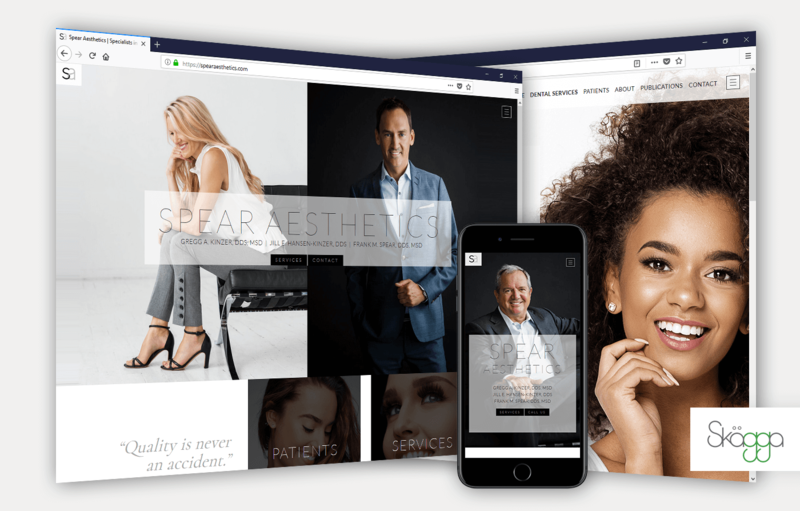 In reaching out to us at Skagga, Inc., Spear Aesthetics presented their desire for an elegant and modern website with a leading-edge design UI: a simultaneous expression of the precision and professionalism of their craft along side the warmth with which they treat their patients. The result of this creative fusion is live now at spearaesthetics.com. Some design elements include: larger than life portraits contrasting light and dark backgrounds, razor thin sans-serif headings bringing immediate definition on each page, and hard box and line accents to divide copy and content.